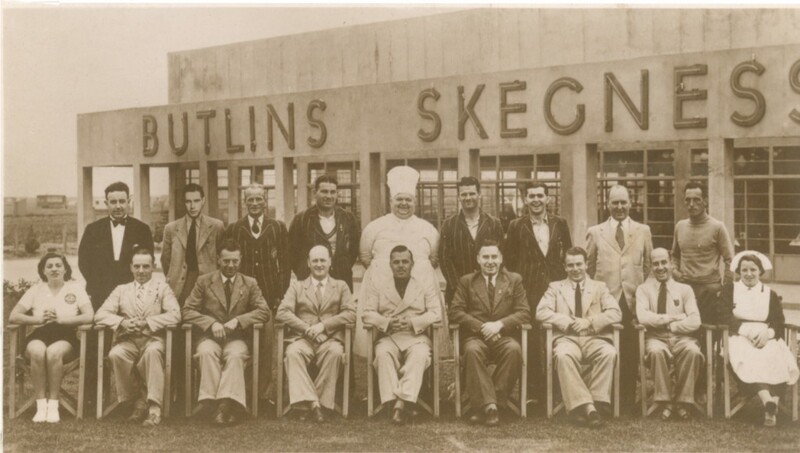 On this day 11th April 1936, Billy Butlin opened his first camp at Skegness in Lincolnshire. The resort is still in operation today and has seen many changes over its 80 years. Building began in October 1935 and was scheduled to be completed for the start of the season in April the following year. Billy had a very clear vision as to what he wanted his camps to be like, from the design and infrastructure right down to the atmosphere. 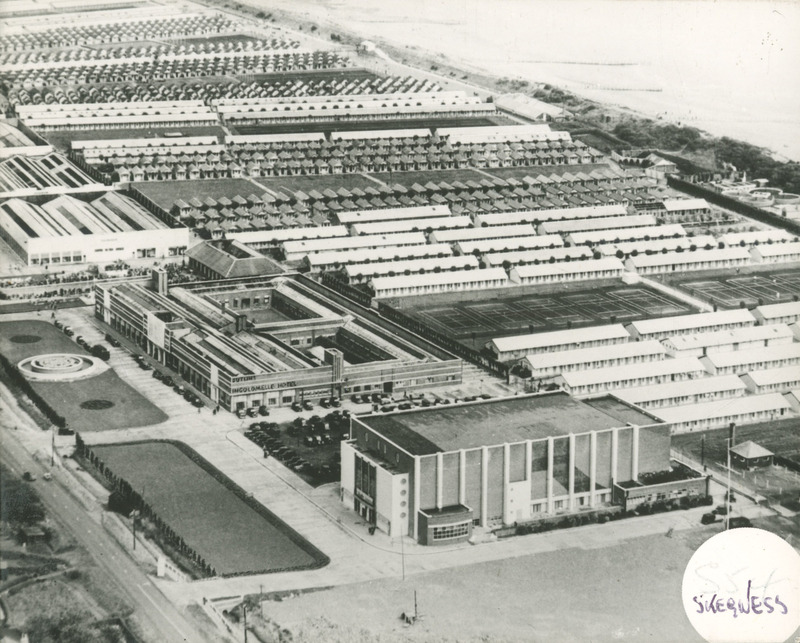 Billy designed all of his camps himself, and when thinking about Skegness it is said that Billy sketched the design out on the back of a cigarette packet. This camp was to accommodate up to 1,000 campers and was to be made up of 600 chalets. Billy outlined that the camp should have electricity and running water as well as dining and recreation halls. There was also to be a theatre, gymnasium, boating lake and rhododendron boarded swimming pool. The grounds were to be landscaped and to include bowling and putting greens and cricket pitches. 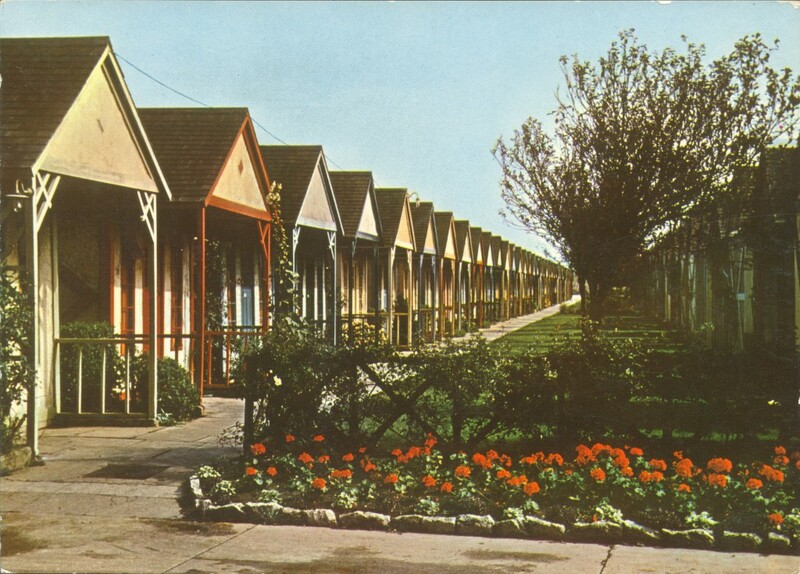 All the facilities on offer were a vast improvement from the facilities available at the existing holiday camps, making Billy a key competitor in this field. A key development that made Billy’s camp stand out from the competition was the inclusion of 250 bathrooms. This was quite a luxury at the time, when camps already in existence had basic sanitary arrangements. It took a workforce of 300 men to build Billy’s vision. The budget for the build was £75,000 and was mainly funded by Billy, who put in £50,000 of his own savings and £25,000 he borrowed to complete the camp. Having needed to take out a loan to create his dream, it was crucial for the camp to start making a profit. To be sure of this, Billy bought some advertising space in the Daily Express for a total of £500. The advertisement offered holidays with three meals a day and free entertainment from 35 shillings to £3 a week depending on the season. The advert worked, and over the next few weeks 10,000 enquires poured into the bookings office. The problem that Billy now faced, was staff shortage, he only 4 staff working in the office! The day before the camp was due to open Billy and some of his staff were having lunch when they spotted the bus that usually passed by the camp, stop right outside. To Billy’s complete surprise a lady with a suitcase proceeded to get off the bus, looking very hesitant she began to make her way towards the reception building. It would appear that this was Billy’s and Butlin’s first guest. Her name was Freda Monk and she had travelled from Nottingham to stay at Skegness, the only problem was, she had arrived an entire day early and the camp was still incomplete. Never the less Billy organised some dinner for Freda and a chalet for her to stay in. 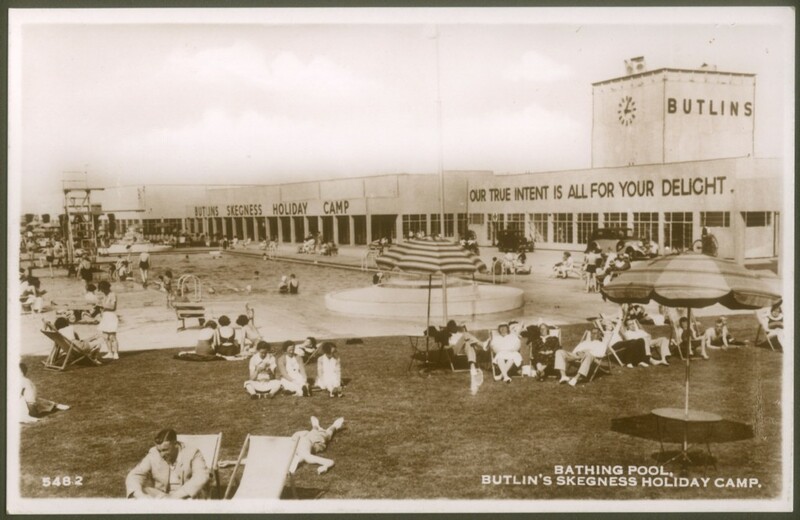 Over the years Butlin’s has seen millions of guests pass through its doors and we hope to continue to delight families over the next 80 years. If you have any special memories of Butlin’s over the past 80 years share these with us on Facebook and Twitter.